This is a guest blog post by Rosario Rascuna, a freelance web developer and Clojure consultant in London. 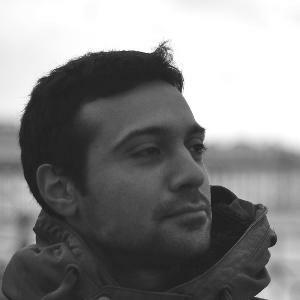 Rosario has worked with several startups in Brighton and London, he's the developer of the London Startup Map - Roundabout.io . You can follow him on Twitter @_sarhus. Here's a quick and easy HTML and Ruby tutorial. You'll create a website using Sinatra, and it will be hosted on Heroku. Even if you are a complete beginner, it should take less than a day! You won't understand everything we'll do in this tutorial, but the idea is to introduce you to some of the things that go into coding a simple website and putting it online. Text editor - Sublime Text is a good one. Ruby on Rails, and other programs. Use the Rails Installer. Create a Heroku account and follow this guide to get set up. The Terminal (Linux and Mac OSX) or Command Prompt (on Windows) is an easy way to run programs on our computer. Find it in your computer (using "Finder" or "Find a Program") and run it. Let's start by creating a folder (or directory): On Linux and Mac OSX machines you have to type mkdir demo. If you're using Windows you have to type md demo. Remember you also need to hit the Enter key to execute the command. After that, change the working directory, (the current folder where you'll be typing the commands) with cd demo and hit Enter. Heroku will take care of hosting your website. You'd need to create an account: Inside the folder demo you'd have to type the command: heroku login. The command heroku will then be executed. It might be possible you'd see something about generating public keys. If that's the case, just type yes and press Enter. Heroku won't work otherwise. Ruby is a programming language. We use Ruby to write code. Sinatra is a micro framework written in Ruby and we use it to create our website. Create a new file using Sublime Text. You can right right on the demo folder and click on New File. Save the file with the name Gemfile. Note: the name of the file is capitalised, it's important! The Gemfile is a special file. It specifies how to download and install Sinatra on your computer. The site.rb file is a working program and it displays the string "I'm alive!". It's written in Ruby and it uses Sinatra to handle the web requests. Note - Remember to save the files after you've changed their content! Open up your browser, and go to localhost:4567, you should see the "I'm alive!" message. Congratulations! That's a very simple web server, running on your local machine! Note: If you change the content of site.rb you need to stop the server, pressing Control+C. You will have to re-run the command ruby site.rb. Showing a simple message isn't really useful. It would be better to show and actual HTML page. Sinatra makes it easy, just create a views folder inside demo and you're ready to go. 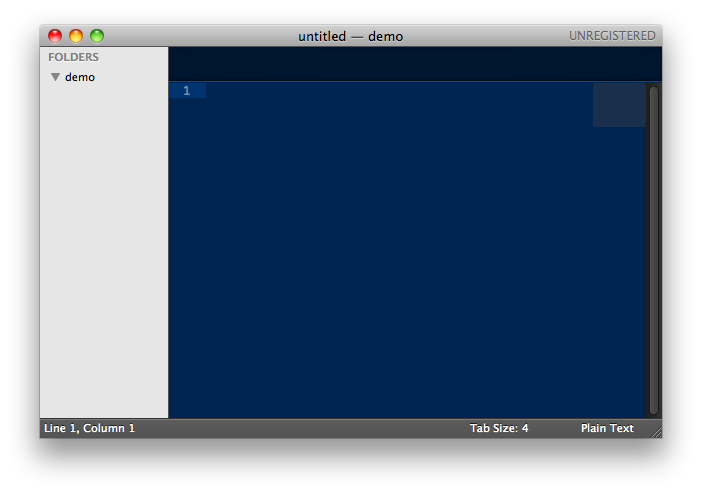 Note, you can create a folder inside Sublime Text by right clicking on the demo folder. You need to update this file because Sinatra needs to know the file (in our case is index.erb) you want to show. 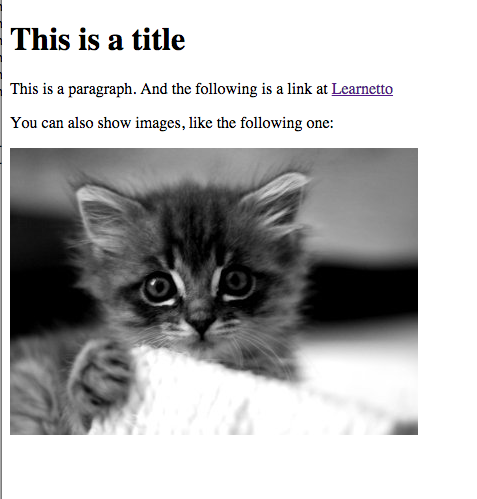 The result is the masterpiece shown in the following image: Ruby + HTML = Happy cat! Obviously that's just the beginning. If you'd like to learn more about HTML (and CSS for styling) you can read a Beginner's Guide to HTML and CSS. If you'd like to publish your website online (in technical terms: deploy), you only need to run few commands from the Terminal (or Command Prompt). After you've created the website (another term is application), you should see the url in the Terminal. It will be something like http://cloudless-forms-1234.herokuapp.com. This url will be automatically generated for you by Heroku. Save the file config.ru inside the demo folder. The first line tells Heroku where's your application file (in our case we've called it site.rb). The second line will tell Heroku that it's a Sinatra Application. git commit -am "first commit"
Point your browser to the url created for you by Heroku. In the example above, that's https://nameless-spire-13709.herokuapp.com/. But it will be something different for you. Well done, the website should now be online!